Pu-erh to us is a family tradition and a way of life that we would like to share with tea enthusiasts and tea connoisseurs around the world. 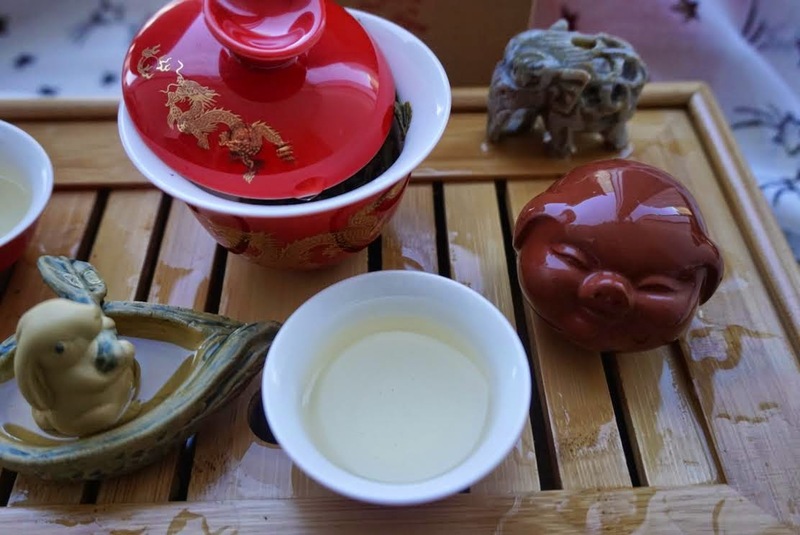 The website is helpful, especially for those unfamiliar with puerh. 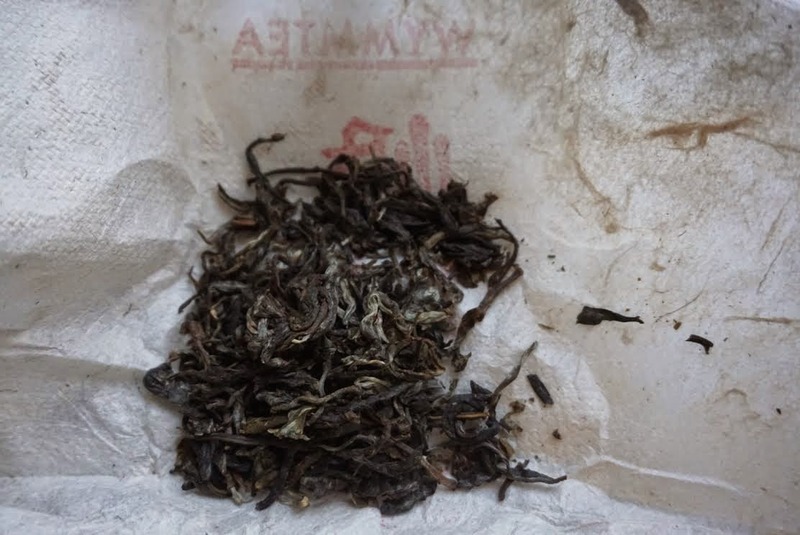 They have handy brewing videos to help puerh newbies, and forgetful people like myself. The samples are all carefully wrapped and well labelled. I decided to try the Mangnuo 'cane tea' sheng first. I rinsed the leaves twice, giving the little tea friends a luxurious bath. The first round of tasting was sweet with notes of floral orchid, honey and toasted milk bread. It was also buttery, and grassy. There was a touch of astringency and a leathery note that I associate with many puerhs. 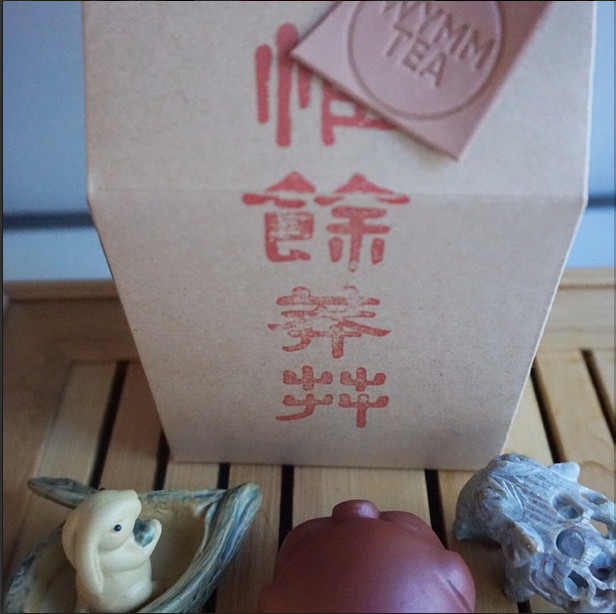 I thought the tea's name was given due to the honey sweetness of the brew, but it actually references the shape of the tea tree branches. A second tasting round hit me with a honey scent, and a super buttery texture. It was more green-tea like in flavor, and super floral. A third steep was a more bitter (I may have steeped a few seconds too many) but still very buttery, similar to a custard flavor. The floral element remained, as did the little bit of leather. I like how this tea was evolving with each steep. This is a tea you can keep brewing all day long with good results. I enjoyed this tea very much, and I look forward to trying the other samples.